Throughout her rich and rewarding life, Antonia Villanueva made a significant impact in the lives of all who were near. She was caring and eager to help others in any way she could with a selfless spirit that was truly immeasurable. There was no greater gift in Antonia’s life than her family, and although she treasured her role as a mother she just might have argued that becoming a grandmother and great-grandmother was her sweetest reward. She was guided by her unwavering faith, her life an example of what it means to be the hands and feet of the Lord she loved. Life will never be the same without Antonia here, but she leaves behind a timeless collection of memories that her loved ones will forever cherish. It only seems fitting that Antonia’s journey began during a time that was as vibrant as she was. It was the 1920s when innovation was leading the way to prosperity that was largely felt nationwide. 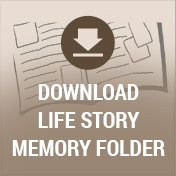 Radios, refrigerators, and motion pictures in both color and sound were all among the latest noteworthy advancements. 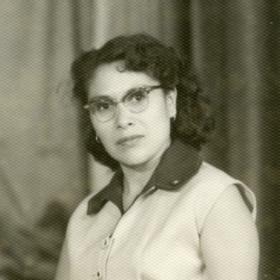 It was in 1926 that Joaquin and Isabel (Rodriguez )Villanueva were pleased to announce the birth of the baby girl they named Antonia on February 10, 1926, in Trinidad, Colorado. She was the older of two children as she was raised alongside her younger brother, Joaquin. Because Antonia’s father worked for the railroad, they moved all around as his work required. They moved from Colorado to New Mexico, and times were anything but easy during the Great Depression of the 1930s. Eventually, they moved to Mexico. There, Antonia was involved in a relationship and had two daughters, Sophie and Lupe. 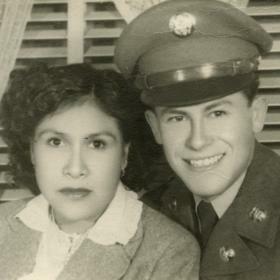 Antonia and her family later moved to El Paso, Texas, where she welcomed her son, Enrique “Henry” into her heart and home. Although Antonia only attended school until about the second grade, her lack of formal education didn’t limit her. She learned how to work and always worked hard to provide for her children while also serving as both their mother and father. Antonia was blessed to have her mother living with them as her mother helped raise her children while Antonia was busy working various jobs. This was not only an enormous blessing in Antonia’s life, but also a part of their cultural traditions as it was commonplace to have several generations living in the same household. In 1952, work brought their family to Milwaukee, Wisconsin. Antonia found work at Black Flag Tannery working with leather products and later making scarves for Everett Knitting. She also cleaned at Marshall & Illsley Bank and also cleaned in private homes. Antonia was a hard worker and not one to stay at home. She took the bus to work and back and she enjoyed sharing the love of God with others in her commute. Her strong work ethic was something that she instilled within her children, and her girls had plenty of chores to practice with.  Life changes were in store for Antonia when she became involved in a Bible study taught by Dorothy Vincer in 1975. It was through the teaching she received there that Antonia saw the need to be baptized in the name of Jesus and was filled with the Holy Ghost. She served the Lord faithfully by volunteering at the church where she worked hard in whatever she was doing. Antonia loved worshipping, and she was so expressive, too, as she could often could be seen dancing and worshipping in the spirit at church. There was never anything of more importance to Antonia than her loved ones. The generations living under the same roof continued with Antonia as her mother lived with her, and she lived with Henry and Diana for 41 years. This worked out great for her since she loved keeping up with her grandchildren and all their activities. Antonia especially loved being with her family on holidays. She was always concerned about her grandchildren and what was going on in their lives. She would share the Love of Jesus with her grandchildren in songs she taught them or bringing them to church. Antonia was not only concerned about her family but also about those in her neighborhood. Antonia was like her own neighborhood watch program as she always knew what was happening in the area. She often sat at the window so she could observe the comings and goings of the neighborhood. As her family and friends can attest, Antonia loved being outside as she was she was known for saying, “I love fresh air.” She could often be found outside doing something around her home whether it was sweeping leaves, pulling weeds, or even trimming the grass edge with scissors! Antonia loved lemon drops and never could understand how they seemed to disappear so quickly. Cookies and a great cup of coffee were also among her favorites. 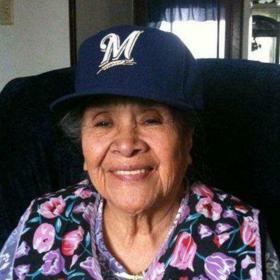 Antonia loved watching the Packers and Brewers, a practice encouraged and shared by her grandson Enrique. All who knew Antonia Villanueva would agree that she was one of the sweetest people around. She was petite in stature, nicknamed “Sweet Pea,” but her courage and strength were anything but small. Deeply devoted to her family, Antonia’s focus in life was on people, not things. She will never be forgotten. 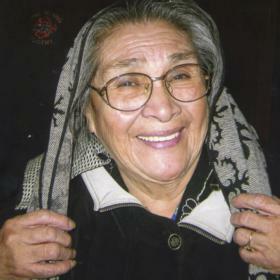 Antonia Villanueva died on December 15, 2017. 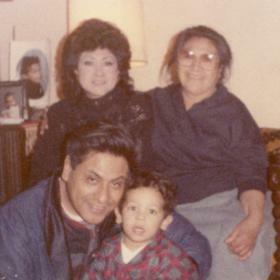 Cherished mother of Sophie (Mario) Alba, Lupe (James) Ball, and Enrique “Henry” (Diana) Villanueva. Loving grandmother of John Alba, Marty (Renee) Alba, Rick (Karen) Ball, Jennifer (Felix), Christina (Vernesa), and Enrique Villanueva. Dear sister of the late Joaquin (Mary) Villanueva. Further survived by 11 great-grandchildren, 6 great-great-grandchildren, other relatives and friends. Family and friends will gather Thursday, December 21, 2017, at Parkway Apostolic Church 10940 S. Nicholson Road from 5:00 p.m. until time of the memorial Service at 7:00 p.m. Arrangements provided by Suminski LifeStory Funeral Homes. Niemann / Suminski (414) 744-5156, www.SuminskiFuneralHome.com.